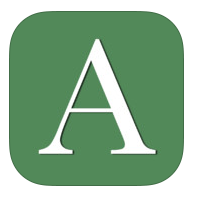 We're excited to announce a new version of the AP iOS Reader App! But it's not just all about looks. We've made some UI improvements and all the great things you've always been able to do while reading your textbook in our app (bookmarking, adding notes, zooming and panning, quick navigation) are all even easier now. This version also include a patch that fixes reported connection issues on iOS 7 devices.